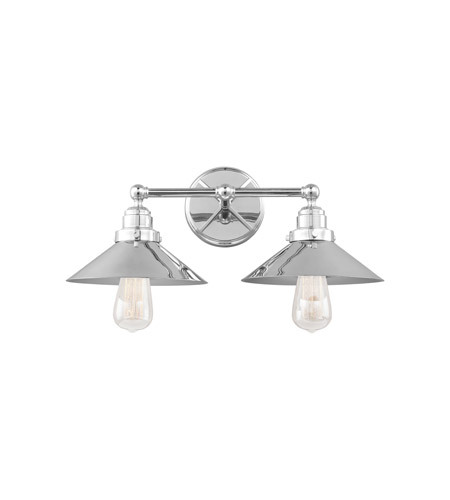 The Hooper bathroom lighting collection by Feiss features exposed lamping and metal shades, pulling inspiration from vintage lighting fixtures from the Industrial Revolution. Two distinct aesthetics can be achieved by choosing either a more modern Chrome or more rustic Antique Bronze finish. A raised âXâ detail on the backplate adds character and visual appeal. 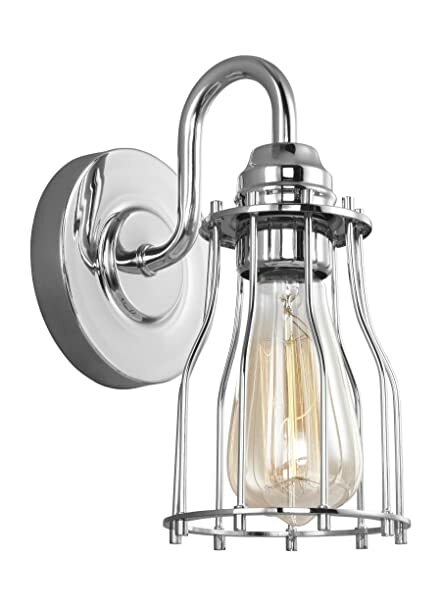 Selecting Edison-style filament bulbs (sold separately) will ensure a truly authentic look. 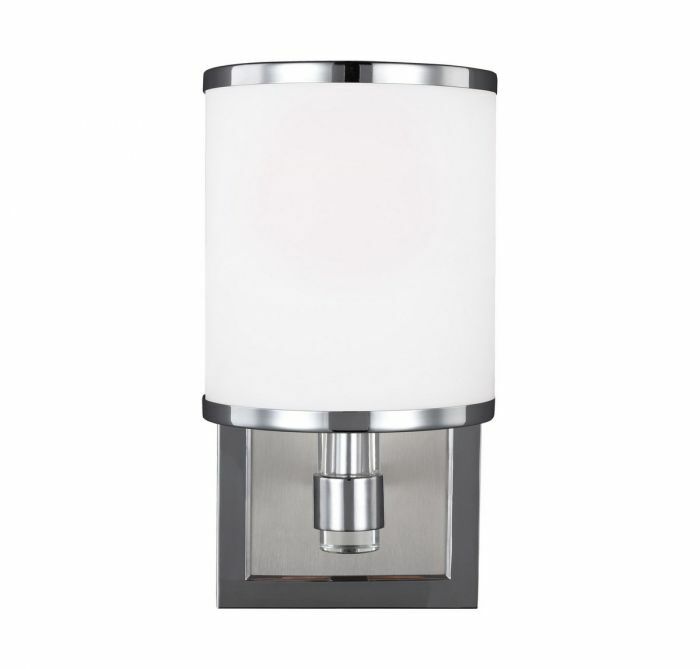 Hooper is available in multiple sizes to fit any bathroom space, including a 1-light wall sconce, a 2-light vanity and a 3-light vanity. 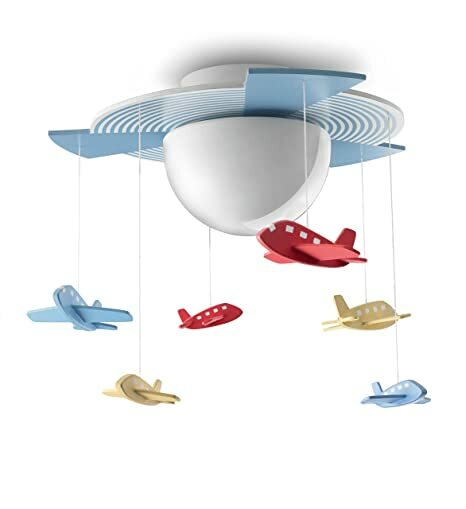 In addition to bathrooms, Hooper would be an awesome lighting option to bring an old-school pharmacy feel and schoolhouse electric vibe to any space. 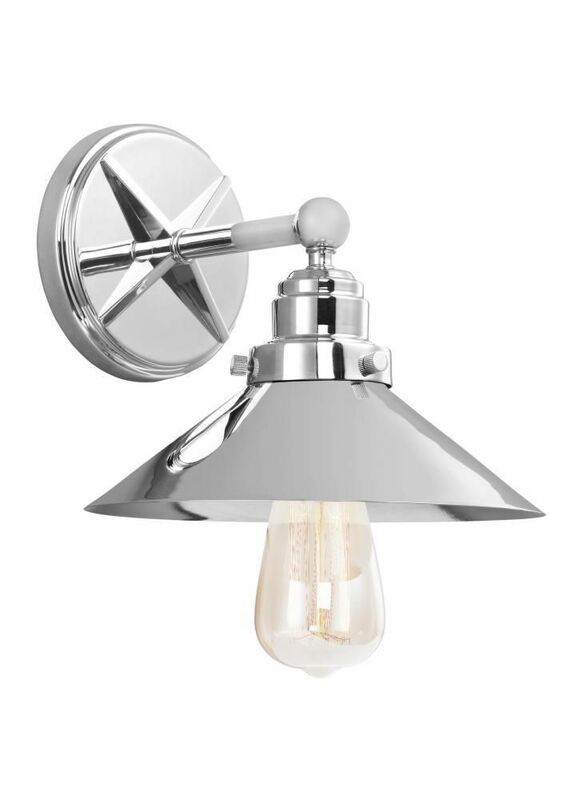 Dimensions:W: 9” H: 8 1/4” Lamping: (1) Medium A19 75w Max. 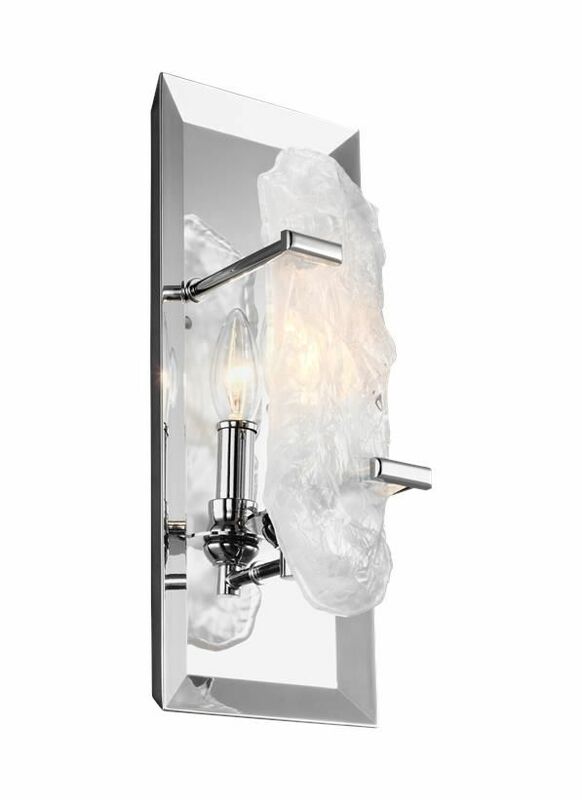 The glamorous Kalli bath lighting collection by Feiss emits soft light sparkling through thick, multi-faceted, clear pressed votive crystal glass shades which rest on softly flourishing arms. 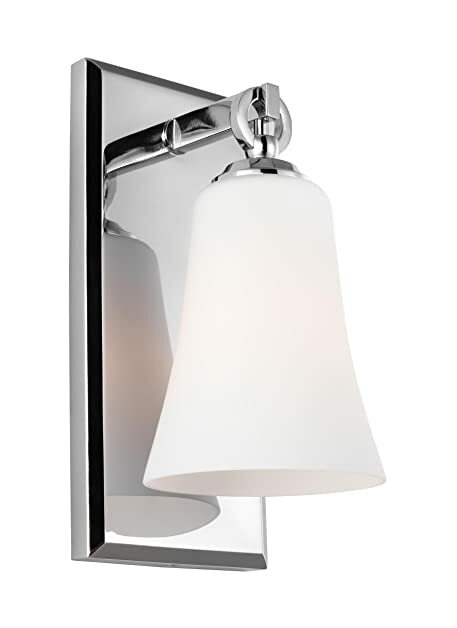 The elegant and feminine aesthetic is grounded with a tailored backplate to add an extra design detail, ensuring the transitional approach complements a wide array of dÃ©cor. 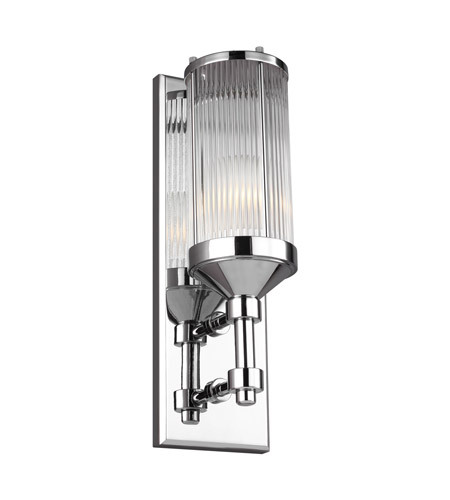 Lighting fixtures in the Kalli line include 2- and 3-light bath vanities and a 1-light wall sconce, all offered in either a Satin Nickel or Chrome finish. 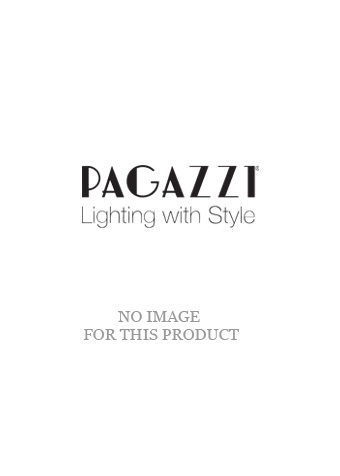 All products ship with G9 halogen lamps included, however, the “-L1” products include G9 LED lamps that shine at a CCT of 3000K. 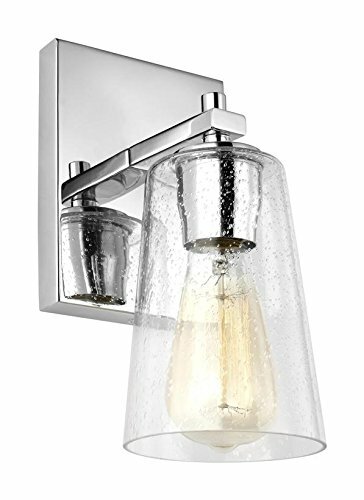 Dimensions:W: 5” H: 6 1/8” Glass: Glass in Clear finish Lamping: (1) Halogen G9 T4 40w Max. Bulb included. 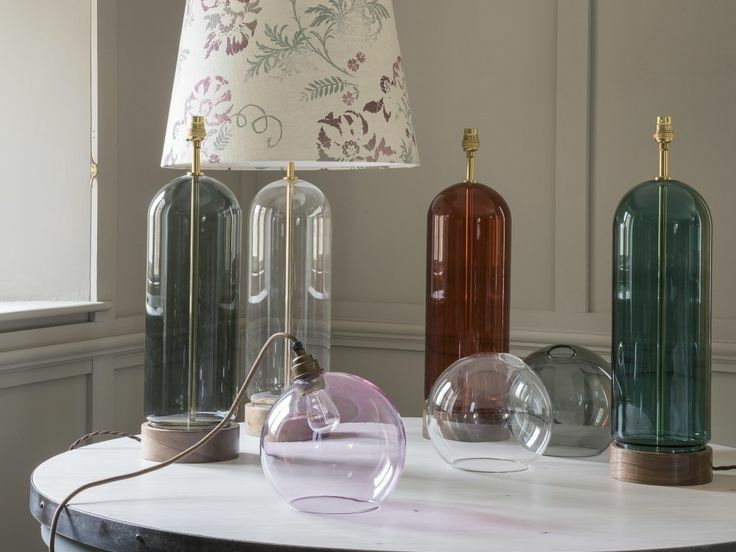 The Clara Collection features Clear Seeded glass shades that subtly diffuse the lamping while allowing the exposed bulb to be a central design element of the fixture. 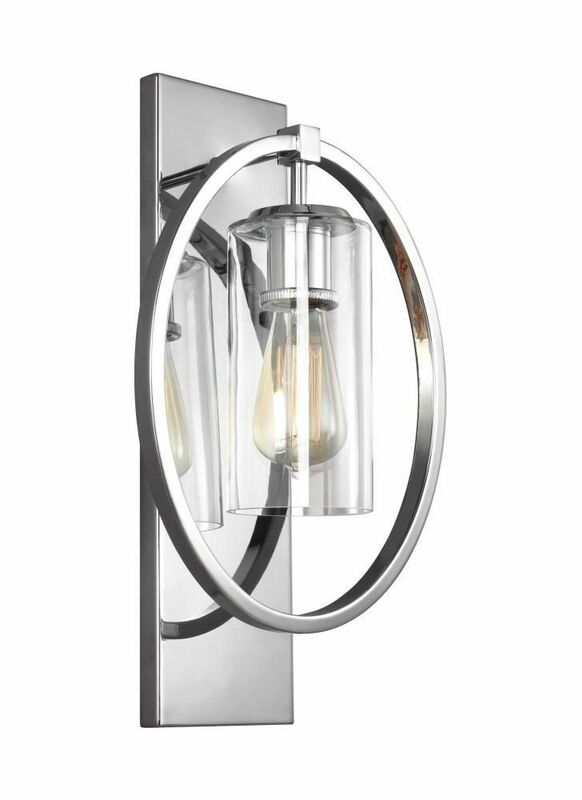 Choose the look that’s right for your space with three finish options: Chrome, Satin Nickel or Oil Rubbed Bronze. This collection is not currently sold online. Products are available in retail showrooms only. 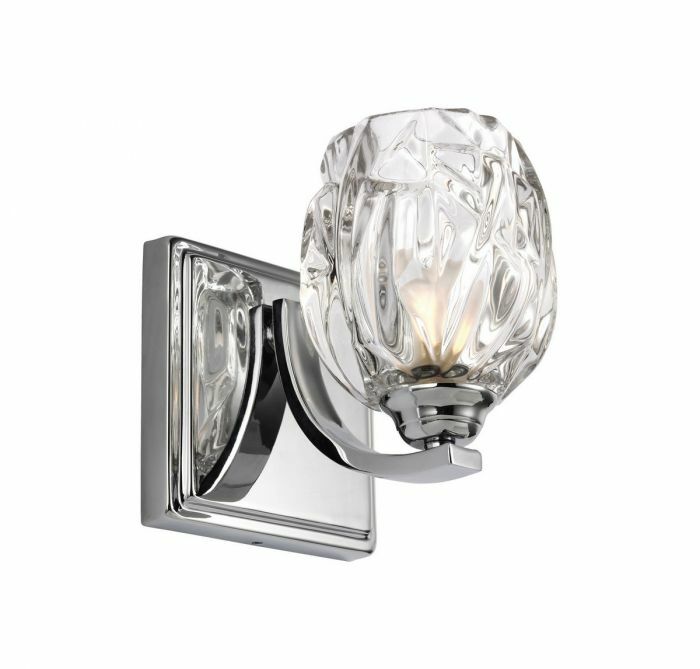 Dimensions:W: 6 1/4” H: 10 1/2” Glass: Glass in Clear Seeded finish Lamping: (1) Medium A19 75w Max. Bulb not included.